Ouch! 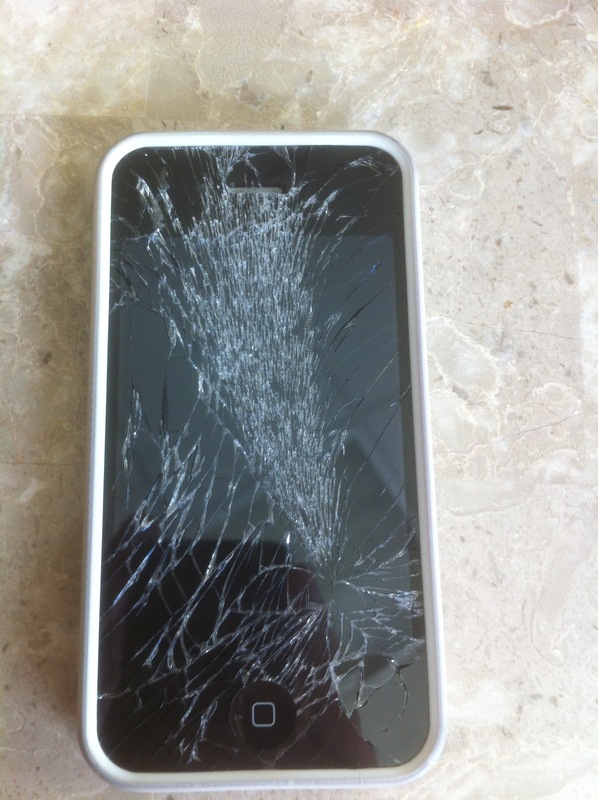 My iPhone 5S Screen Shattered! Shannon was the unfortunate person of the day. Having just finished her daily errands, she was simply walking back to her car when she pulled her iPhone 5S out of her purse. Catching just the side of her back, the iPhone slipped out of her hand and went crashing to the parking lot ground. When she reached down to pick it up, the resulting screen looked as it did at right. 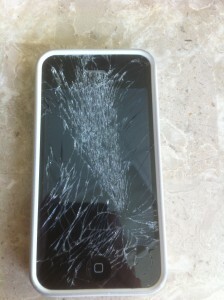 She needed her shattered iPhone screen replaced as soon as possible in the UAE. The iPhone worked fine, but it was clearly beat up and was slicing her fingers with every swipe. Shannon was down on her luck and looking for a place to fix or replace the shattered iPhone screen. Like many, her iPhone 5S was her favorite thing to turn to on a boring day or at the beach or when she had a little extra time on her hands. She was a big fan of Candy Crush and Boom Beach. We must admit – those are two of our favorite games as well. The iPhone 5S was a great product from Apple. So many people loved having this device in their pocket or in their purse. It’s slick and highly functional. Not to mentioned the amount of apps and games that you can download. Anyways – we digress. Luckily for Shannon a quick internet search for repair services in Abu Dhabi and Dubai provided her with www.iRepairUAE.com! 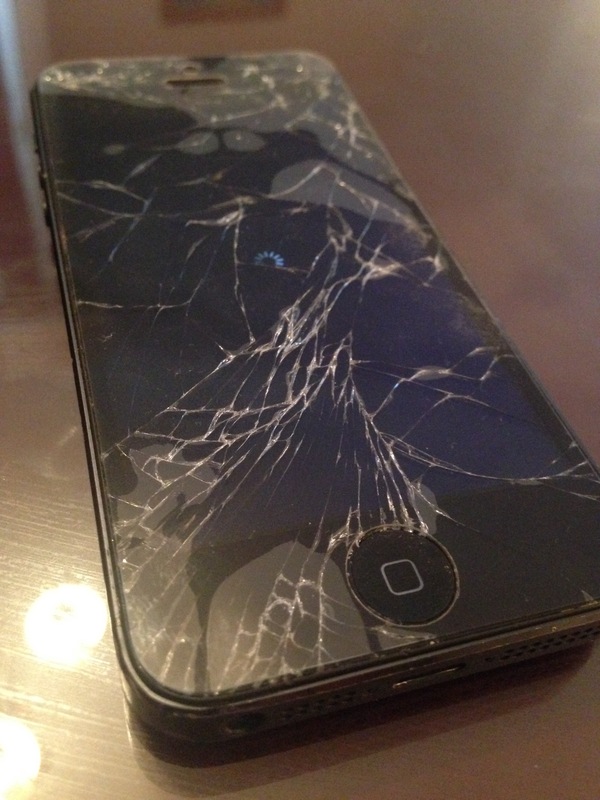 She was delighted to find a service that could repair her shattered iPhone screen in the UAE. Not only that, but this service comes to you and repairs it right on the spot. She gave us a call and we were able to meet with her shortly after and replace the cracked screen on her iPhone 5S. Happy we could help, Shannon. Kim had invested in a protective screen that would protect the screen from the numerous drops her young daughter had done. Unfortunately, a few minutes after taking her iPad Mini out of the protective case, it fell off the table and landed on one of the corners. 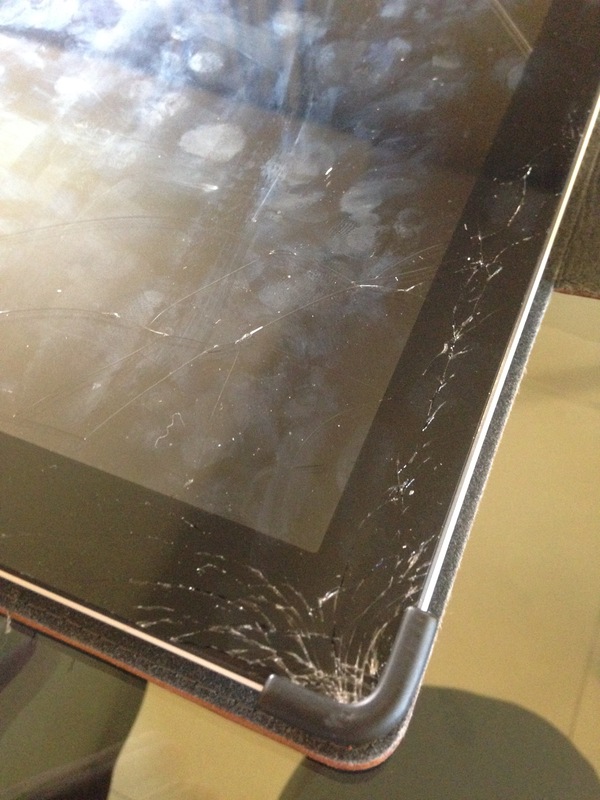 The impact caused the iPad Mini screen to crack. Panicked, she went looking for a repair service in Dubai that could replace a cracked screen on an iPad Mini. 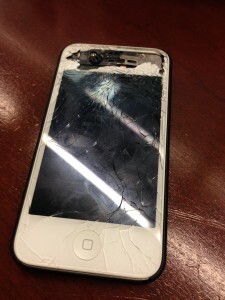 Luckily she stumbled upon iRepairUAE and decided to give us a call. 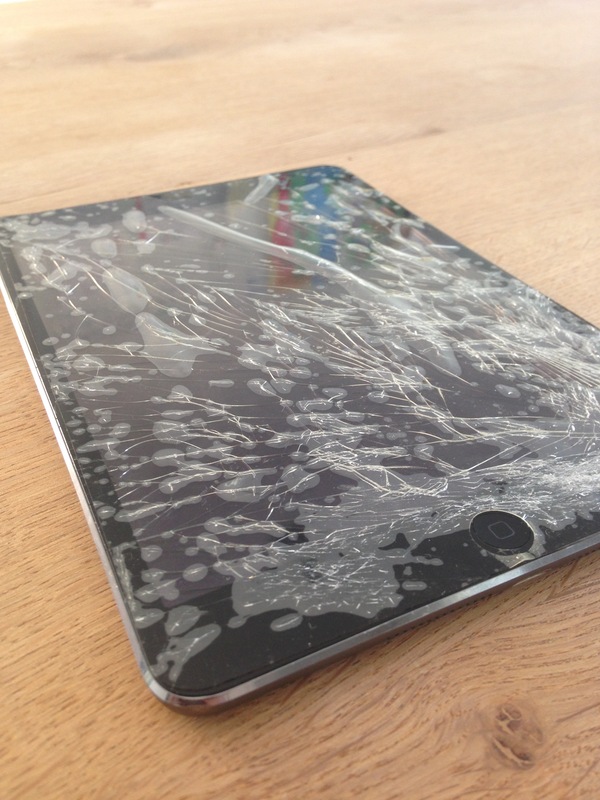 We schedule an appointment for the following day and had her iPad Mini back to normal in under an hour.